What does Counterfeit mean in poker? - Casino Answers! 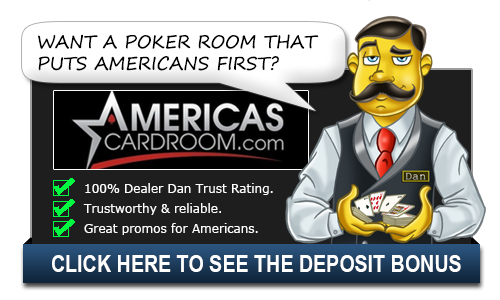 Casino Answers » Poker » Online Poker Beginner Q&A » What does Counterfeit mean in poker? In an Omaha high / low split game, if you have an Ace and two with a three, five and seven on the board, you have the best possible low hand. If the turn or river is a two, your hand is often “counterfeited” because you don’t have the best possible low hand any more. Counterfeiting can also occur with high hands, or in Texas Holdem games. In a Holdem game when you have a hand like eight nine and the flop is ten, Jack, Queen and the turn or river is a nine, it often gives an opponent a higher straight, counterfeiting your hand. One of the most common (and frustrating) times when counterfeit comes into play is when you have a low pocket pair. Let’s say you have pocket sevens and your opponent has an ace and a king. The flop comes Jack-8-8 so right now you have two pair, eights and sevens. You are in a good position to win as long as your opponent doesn’t have an eight. The turn comes and its a Jack. Now, all you have is two pair Jacks and Eights. Your opponent has the same thing, but they have the ace kicker to go along with it and thus will likely win the hand. A similar type of situation can occur with a flush as well and these hurt even more. Let’s say you have a hand like an 8 and a 7 of hearts. While your opponent has an Ace of hearts and a Jack of spades. The flop comes and there are three spades there. You’ve made your flush and are now a favorite to win this hand. The turn comes and your still good, but then on the river: another heart. Your opponent gets the flush with the ace high and wins the hand. So while the Ace in this situation technically improved your hand, it actually made it worse and took you out of a winning position. This is the definition of counterfeit. It can be a very cruel thing in poker, but you can’t control what comes on the turn and the river. You can’t know for certain what your opponent has and what they are willing to call with. You can try to bet heavily and scare them off the hand, but if it doesn’t work then counterfeiting will happen to you. It’s no fun, but it’s a part of counterfeiting. The key to being a winning poker player is to know that counterfeiting will come for you and accepting it. It’s not fun and you can try your best to counteract it, but bad luck is a part of the game. The good news is that good luck is a part of the game as well so you will be on the receiving end of this at times as well. It all evens out the more hands that you play.